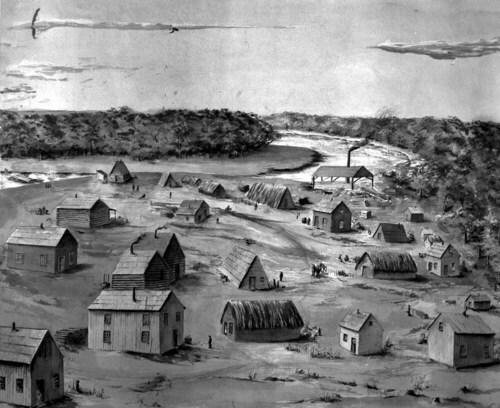 An illustration of the Kansas River and the newly founded town of Lawrence, Kansas Territory, as it appeared in 1854. The drawing might be based on an earlier illustration of the same location by J.E. Rice.